He’s one of the best right now. I’m probably jumping the gun a bit with this one. 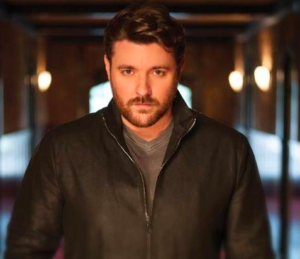 Chris Young is coming off three straight number one singles from his latest album. I’m not sure if he and his team are going to try and make it four. He’s had albums in the past where they have released four singles. But we’re also kind of coming up on the time when Chris is working on a new album and getting ready to release it. Actually, there are probably more than a couple songs on this album that could be singles. But that’s one of the “bad” things about putting out full albums. If you do a good job with the songs you just don’t have time to release them all as singles. Anyway, this one is a pretty sad country song. It sounds like it’s from the perspective of a guy that kind of screwed up with a girl. She’s moved on, but he’s still kind of holding out hope for things to work out. It sounds like he’s sitting around thinking to himself. He’s wondering if she has any inclination that maybe they should get back together. If she is then he knows a guy that’s ready to get back together. Chris has become a very reliable hit maker in country music. He’s always had a traditional style and I appreciate that in today’s country world.